The trick to sleep training is that it isn’t a trick. In my personal experience, teaching a child how to go to sleep on their own is just as important as teaching them all the other basic life skills like brushing their teeth or tying their shoes. Ideally children should learn to be independent sleepers and not need to rely on rocking, shushing or cuddling. Leaving a baby to figure it out and cry themselves to sleep doesn’t teach them anything. In Part One of my Sleep Training Guide, I offer a sample routine that I used with each of my three newborns in order to build a solid sleep foundation. Part Two of the Sleep Training Guide is aimed at babies over 6 months old who tend to be more curious about the world around them and try to test their limits. Here are my best tips and advice for dealing with sleep regression, bedtime barriers, and staying positive throughout the sleep training process. *This post contains affiliate links which means that if you click on one of these links and buy a product, I may earn a small commission at no additional cost to you. Rest assured that I only recommend products that I love from companies that I trust. ** Furthermore, I am not a sleep training expert, just a mother who’s been there and lived to the tell the tale. Between 4 – 6 months babies go through their first major sleep regression (and roughly every 3 months after that until they graduate from high school). It may be related to new teeth, illness, change in environment or routine – or it could be caused by absolutely no reason whatsoever. Trying to sleep train during a sleep regression is like taking one step forward and two steps back, so my advice would be to wait until the sleep regression is over and baby is back to their normal routine to start any major sleep training. Check out this post from shrewdmommy.com for more information on sleep regression. 6 months marks the big achievement of solid foods!!! While your baby will be eating an array of new foods, keep in mind that they will still be very dependent on milk for the next few months so don’t expect a “fuller stomach” to suddenly help them sleep longer at night. Adding new foods to your baby’s diet can also cause changes in their activity levels and bowel habits which could alter your routine as well. Your baby will be much more efficient at eating and may not need that middle of the night feeding anymore. Baby is discovering so many new things and will be much more active during the day. They will learn to (if they haven’t already) fight sleep in order to stay awake and play longer. Over and under stimulation can affect how your baby sleeps at night. Unlike newborns who can sleep in any conditions, older babies tend to wake easier and may be particular about where and when they sleep. Distractions can work for you here. Try a projection night light, sound machine, stuffed animal, blanket, book or anything that will take your child’s mind off the fact that they are deliberately fighting sleep. Try not to cuddle, rock or feed baby to sleep. The idea is that it should be something that can soothe them when you are not around. Try aromatherapy! There are several essential oils designed to help soothe and calm the mind at bedtime. Rocky Mountain Oils makes a kid-safe sleep blend called Counting Sheep. Roll it right on, or put a few drops in a diffuser. The older your baby gets, the less sleep they will need during the day. Make sure that they have been awake for at least 2 hours before bedtime (and longer as they get older). It’s important to give them enough stimulation and exercise throughout the day (fresh air always works wonders to help children sleep better). You can spread out their naps during the day but you don’t want your child to be overtired. An overtired child is a cranky child and a cranky child is an uncooperative child. And trust me, you’re going to need their full co-operation at bedtime! You want your baby to watch you leave the room and be OK with it. You can give baby a little rub on the belly and say good night and then walk out of the room. Do not try to sneak out of the room. We don’t want to trick baby into going to sleep on their own. And the last thing we want is for them to suddenly realize that we’ve left them and then freak out. Do not feel sorry for them because they are alone. Sleep is a natural part of life and their bodies know this. They will follow your lead so if you seem stressed or feel sorry for them they will sense that. If they instantly start to cry, wait a minute or two to see if they settle down on their own. If their cry intensifies, then go back into the room and assure them that you are there and that it’s bedtime. Try not to pick baby up right away, instead try another distraction. If they seem very distraught and upset then pick them up, console them and once they are calm you can try again. You want to make sure that both you and baby are calm when you put them to bed. If you have to, nurse them again or read a short book but don’t force them to stay in their crib if they clearly don’t want to. If you and/or baby start to feel overly stressed out by this routine then try again another night. We don’t want either of you to associate any negative feelings with bedtime. If this has gone on for 2 or 3 nights in a row then take a week off and try again. If baby wakes up in the middle of the night – wait 1 -2 minutes and really listen to their cry before going to them. If they are just fussing and still sound half asleep, continue waiting. If they suddenly let out one loud cry or scream, wait a few seconds to hear if more follows. If their cry starts to escalate then go in and reassure them, offer a distraction and leave the room again. If they seem very distraught and upset, then pick them up, console them (feed them if necessary) and once they are calm you can try again. The listening and waiting can be key to helping your baby go back to sleep on their own. Oftentimes babies cry in their sleep. I remember many nights where I lay in bed listening to my baby’s cry on the monitor, finally deciding to get up and go to them and as soon as I put my hand on their bedroom doorknob they went back to sleep. I learned to wait an extra 30 seconds the next time. You can find the top three baby monitors from Reviews.com and/or you can download the Baby Monitor 3G app if you have two compatible devices – a great option for travelling! Bedtime battles can be so frustrating. Staying positive is so important, but it’s easier said than done. If babies and kids sense frustration or negativity at bedtime they will think of it as something to fear and they will fight you every time. Consistency is key. Sticking to a bedtime routine means baby will know what to expect and when. Eventually, it won’t be so scary anymore – it will just be something that’s done every night. Don’t pressure yourself if it isn’t working. Stress and sleep deprivation make for a bad combo. Take some time away from sleep training to get your positive energy back. It’s alright to ask for help. 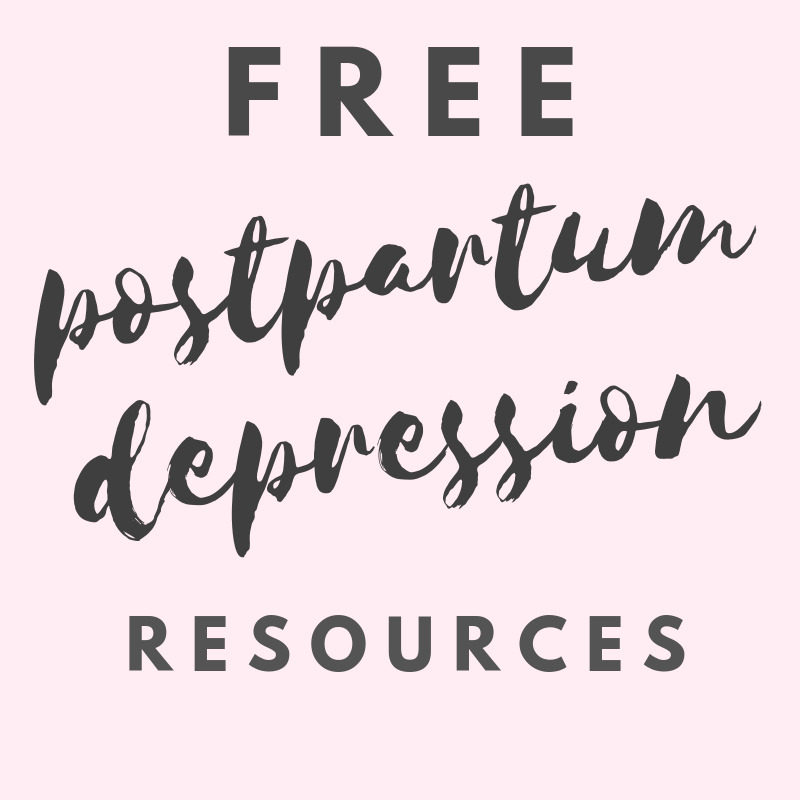 Sleep deprivation and stress can contribute to (and worsen) postpartum depression and other maternal mental health problems. While having help and support from family and friends is important, it can be extremely beneficial to seek help from a certified sleep training specialist. Sites like The Baby Sleep Site offer personalized sleep plans designed specifically for your child and focused on the areas that you need help with. Even if you choose not to purchase a sleep plan, you can become a member and access tons of great tools and resources available in their Members Area. Read my review of The Baby Sleep Site to get a sneak peek at what’s included in the Members Area and find out more information about their consultation packages..
Have you read PART ONE yet? Even if your baby is older than 6 months, you can still get some important tips and advice on sleep training!